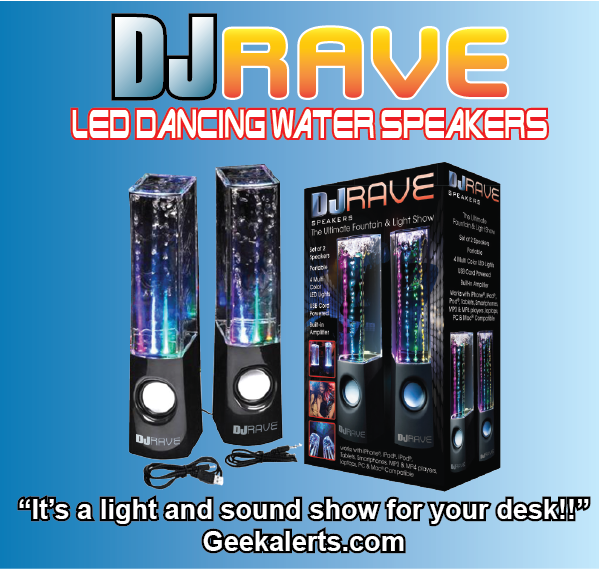 The DJ Rave dancing water speakers bring the club right to your bedroom! 4 multi-colored lights and a built-in amplifier will let you dance the night away with friends! Works with iPhone, Android, tablets, PC and Mac compatible, MP3/4 players. USB and audio plug in connections included. Each speaker is 9"H x 2"W x 2.5"D.